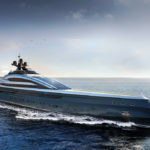 Set for delivery in summer 2020, the S50 will make her worldwide debut at the 2020 Monaco Yacht Show. 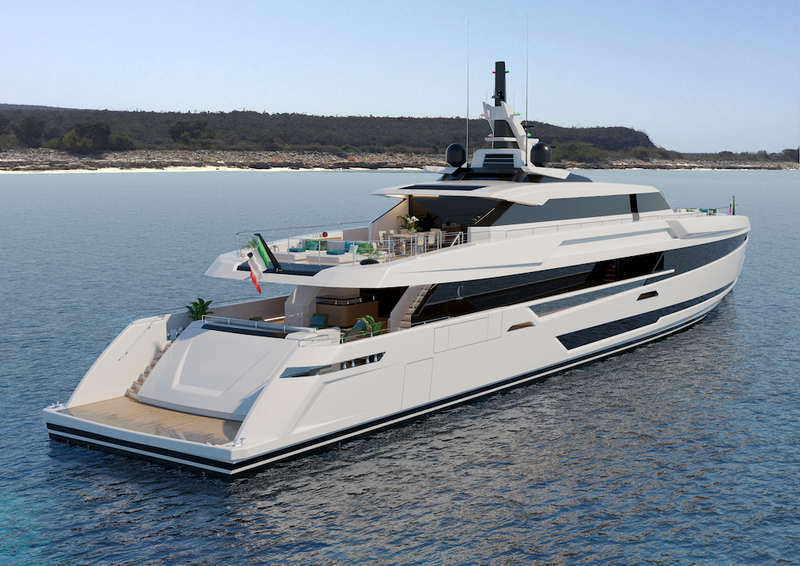 Styled inside and out by the Florence-based Designer Luca Dini, this yacht is wrapped in a contemporary design exterior featuring a sporty hull with a distinctive vertical bow to increase the amount of interior space available and comes in just below the 500GT threshold. 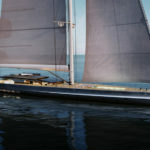 It will have a maximum beam of 9.15 metres and stretch 49.5 in length. 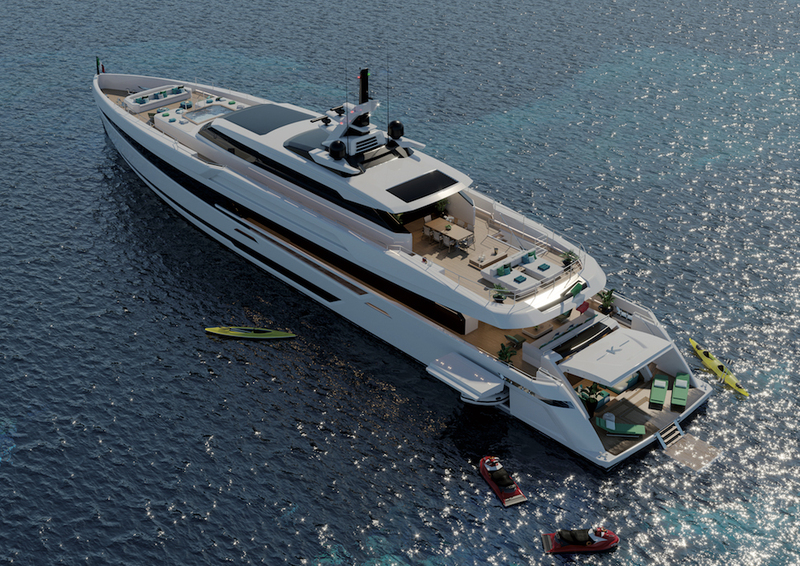 It will be clothed in sleek yet imposing modern lines complimented by a plumb bow and two large horizontal slashes that lend this tri-deck a sporty allure. 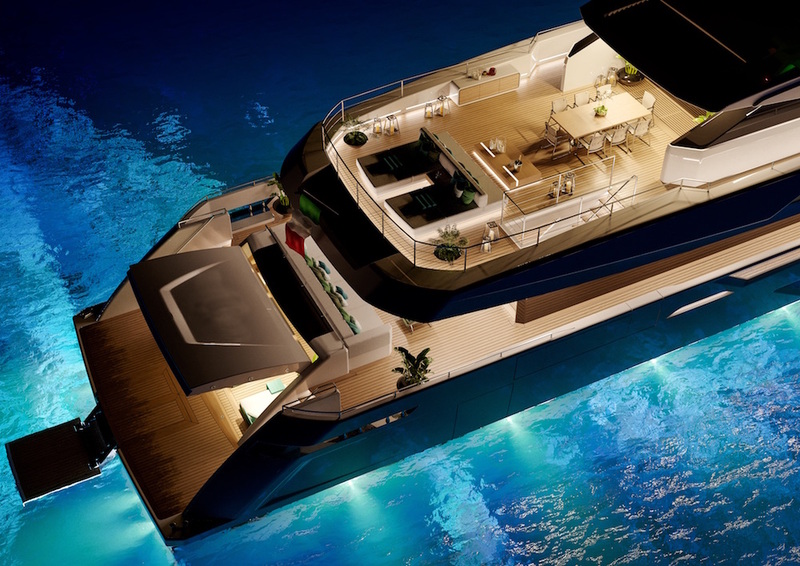 Lots of glazing and clever bulwarks design afford uninterrupted views from the saloon As well as a spa pool on the foredeck and an extensive skylounge, the S50 features gunwales developed in such a way as to allow great panoramic sea views close to the edge. 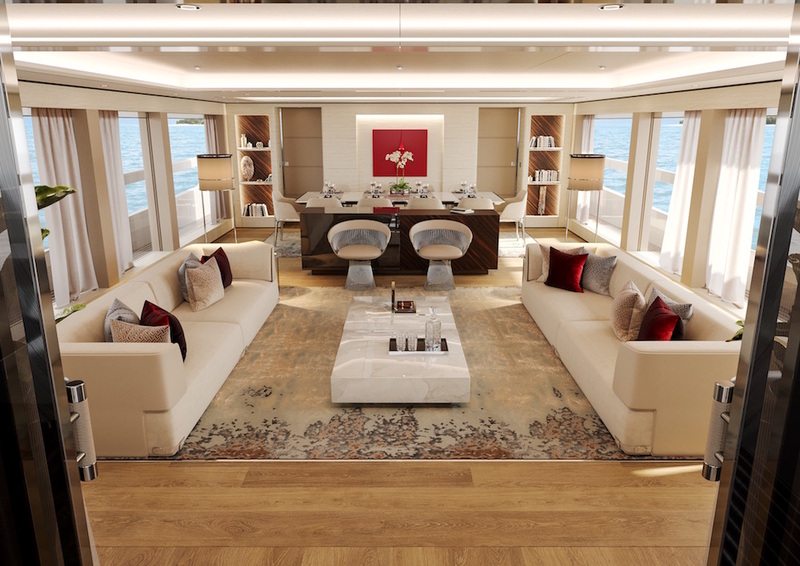 A seamless band of windows on both the main and the fly decks meet the Owner’s brief for naturally bright interiors and deliver an uncluttered view of the horizon, even when comfortably sitting on a sofa. 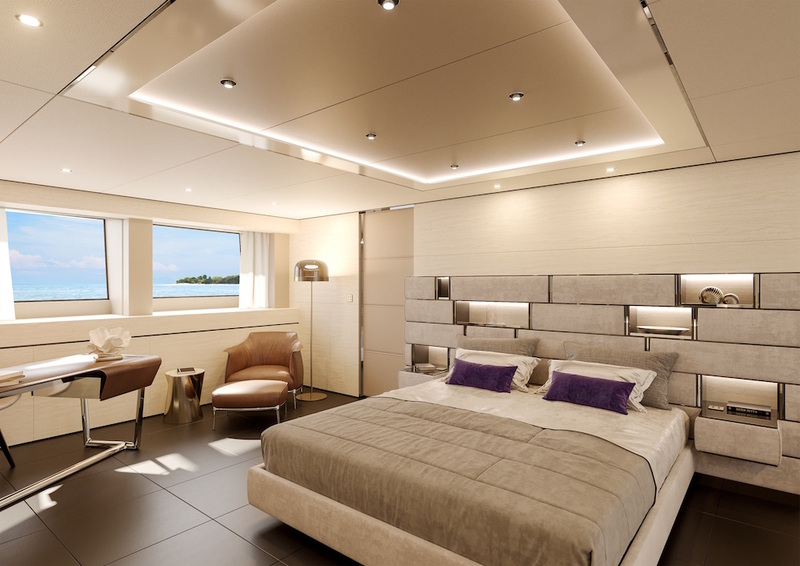 Accommodation is for up to 12 guests split across 5 cabins and the crew quarters is suitable for a staff of up to 9 people. 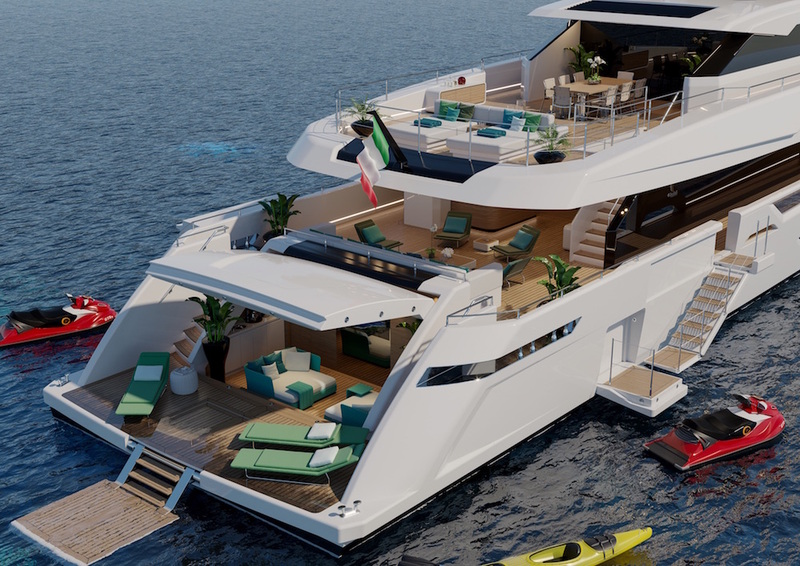 Featuring an aluminium hull and superstructure, the semi-displacement Columbus S50 comes with a transatlantic range of over 3,000 nautical miles at a cruising speed of 12 knots. 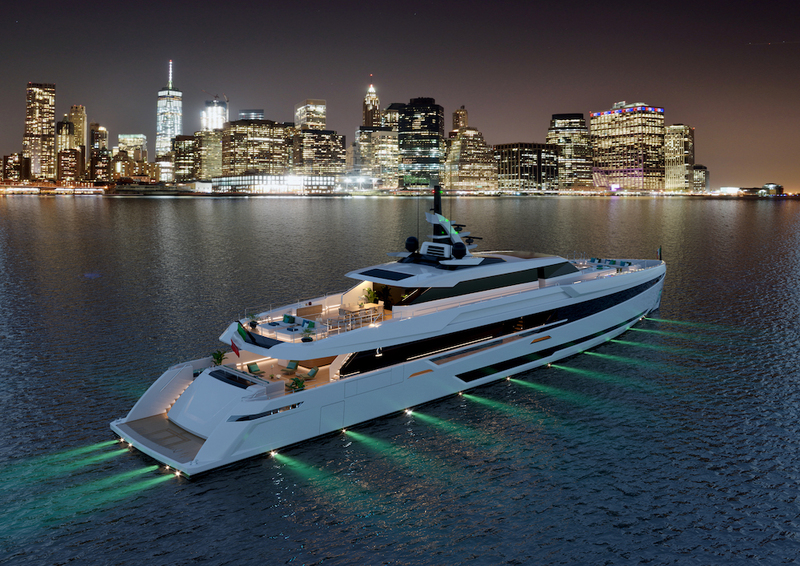 Her twin 2,000hp MTU engines reach a top speed of 20 knots and a transoceanic range at a cruising speed of 15 knots.